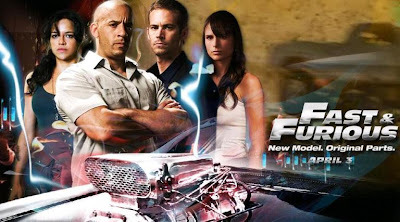 i'm the one who love Fast & Furious's movies. Also My Hubby and not to forget my haziq loved and addicted to this movies. The action genre showed on this movies are so real!. Since nuffnang are inviting all the Nuffnangers to join the great free ticket contest to watching this coming F&F 4. Who knows.., i'm the lucky one from the 50 free tickets! "Heading back to the streets where it all began, two men rejoin two women to blast muscle, tuner and exotic cars across Los Angeles and floor through the Mexican desert. When a crime brings them back to L.A., fugitive ex-con Dom Toretto reignites his feud with agent Brian O'Connor. But as they are forced to confront a shared enemy, Dom and Brian must give in to an uncertain new trust if they hope to outmaneuver him. And from convoy heists to precision tunnel crawls across international lines,... more two men will find the best way to get revenge: push the limits of what's possible behind the wheel." kalo kita dua dpt..leh jumpa jap kt sana..
hehehe..im also penggemar F&F...lebih2 lagi kalo Diesel! !